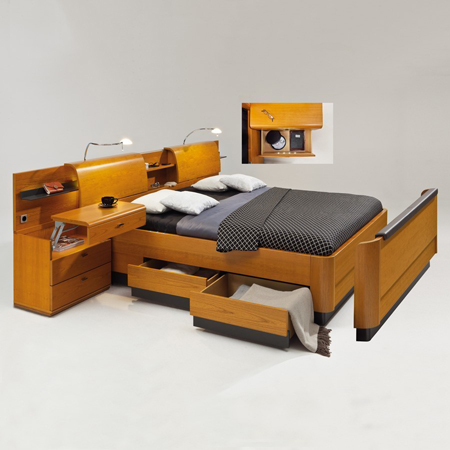 The shaped headboard of the compact bed system invites you to lean back; the high headboard with brown-black leather overlay is perfect for sitting. 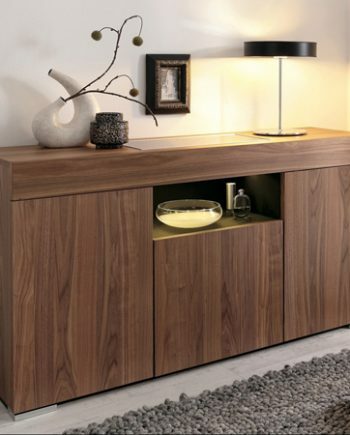 Cocoa lacquered accents bring this ensemble in white lacquer to life. 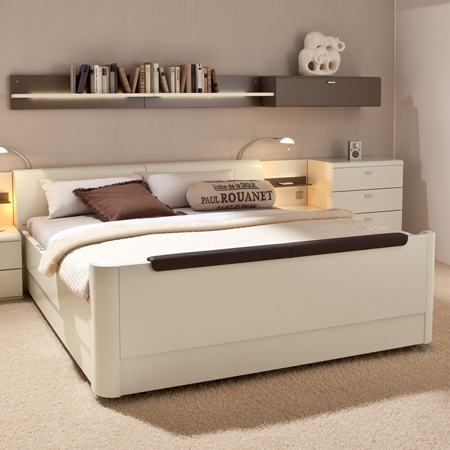 Plenty of white, amberwood accents and the open feel of the bed-on-legs lend this bedroom a light and uplifting feel. 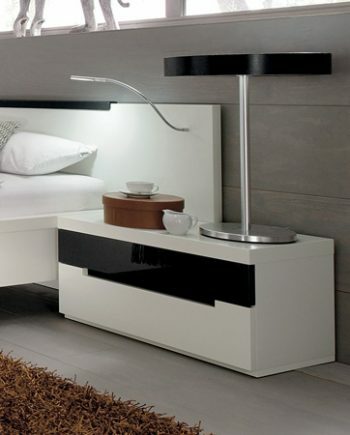 The LED bedside lighting for beds-on-legs is switched on and off via a motion detector. No timed intervals. 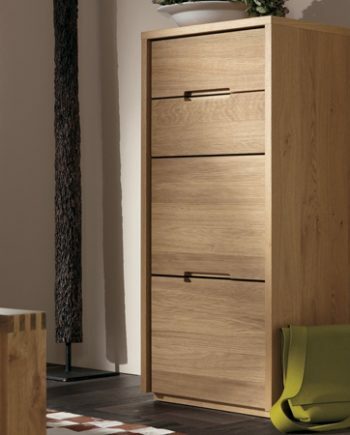 The 16.0 cm high legs of this bed provide a particularly uplifting effect. There is a choice of compact or bed-on-legs systems, low or high footboards, a tone-on-tone bed frame or – as shown here – with an accent colour – you will certainly find your preferred design! The new luxury height of the VENERO II compact bed system is not only very comfortable for lying, getting up or simply sitting, but also provides plenty of space for two practical storage drawers under each side of the bed. Just give us a call to 020 8961 7780, email to info@fcilondon.co.uk or fill in the form on this page.